At Sharmans we believe training is key. Whether it is providing skills-based, or CPD knowledge-based training for our specifiers and property managers. 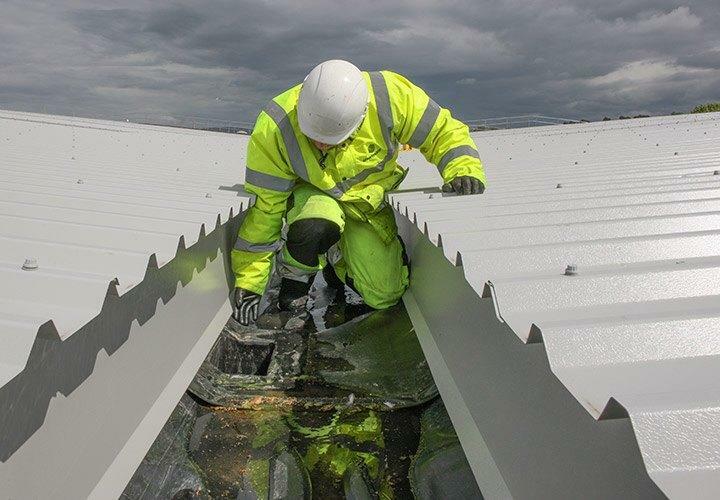 Effective training ensures our customers are confident in specifying our gutter and roof refurbishment systems. Our Specification team will come to your offices to deliver the CPD seminars and hands on demonstrations of our systems to suit your needs. At Sharmans we are here to provide you with the best technical support possible. Our Project Flow service offers full support at every stage of the process, alongside our nationwide Technical Services Managers and a dedicated technical helpline. Sharmans dedicated nationwide Technical Services Managers are here to support you on-site with surveys of your roof and gutter profiles to help you choose the right system for you. At Sharmans we can offer all specifiers dilapidation and condition reports on projects as part of our Project Flow service, with recommendations on any issues and how we can help you to extend the lifecycle of your buildings. 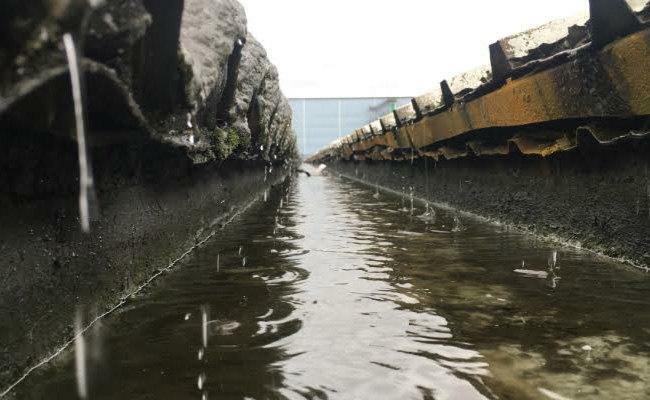 Gutter leaks at the Great Bear storage warehouse were in need of repair and a successful refurbishment of the gutter system would go a long way to attract new customers looking for safe storage in a Control of Major Accident Hazards (COMAH) regulated establishment.